time once again to keep you motivated, eh? the contest ends ends April 22th 2015. So far we have so many Prizes via our Random Prize Pool that will be handed out via lottery to every participant that we definatly need YOU to take part in at least one category! Get it on, c'mon? We know you are painting something, drop it in! Don't be lazy or shy! Today's update brings you "Best of Sculpting". 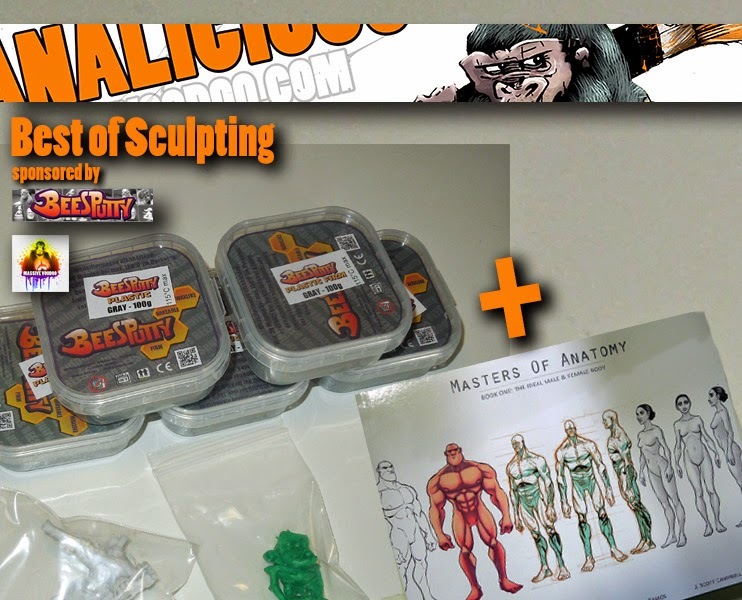 Thanks to BeeSPutty.com and Massive Voodoo the best sculpt in the sculpting category will recieve five boxes of BeeSPutty Plastic, two funny cool miniatures and the Sculpting Reference book called "Masters of Anatomy". Ain't that cool, eh? You want some sculpting candy?